Yes, come one, come all to the great White Mountains of NH! I think this should be the AMC’s motto. 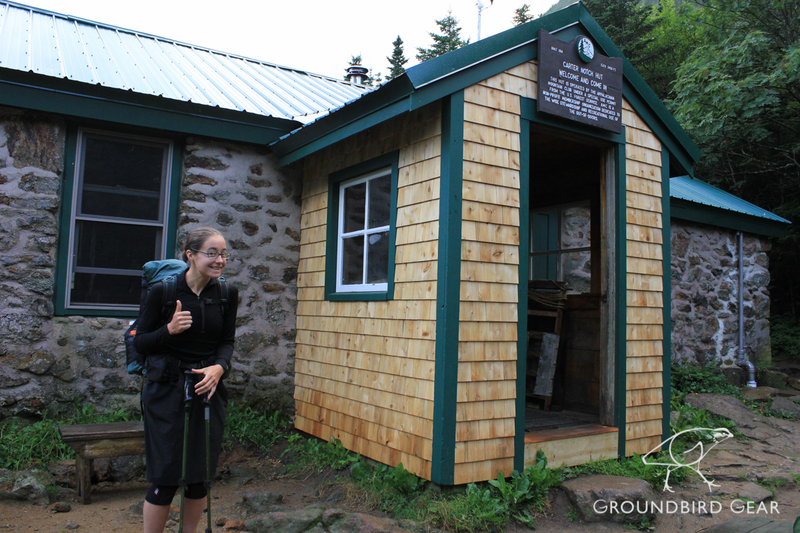 The AMC stands for Appalachian Mountain Club, or as thru-hikers call it: the Appalachian Money Club. The AMC has a hold on most of the Trail in New Hampshire and some of Maine. It’s a challenging section for thru-hikers. The AMC has made these mountains, especially the Whites, out to be a major attraction. They have built “huts” 8-10 mi. apart through NH and have built campsites/shelters that are $8 a person per night. The huts are really mountain chateaus. They house 35-90 people a night, depending on the size, have a full kitchen staff and composting toilets. It’s a great idea, but don’t be deceived, regardless of their efforts to “be green;” preservation of these mountains is hardly their goal. It’s a wonderful thing that they’ve made a way for inexperienced hikers to come to one of the most difficult places to hike on the East Coast, but they’ve also done just that: brought the masses to this area. The thru-hikers of course are not the clientel of the AMC. Never would we be caught dead paying $110 to sleep in one of their hut bunk beds. Instead, we slink around these parts, either “stealth camping,” doing work-for-stay, or last resort: shelling out for the pay campsites that are no different from any other on the trail, except that the wood chips for the composting privys are flown in via helicopter. I had a sad day or so solo after Powder left. There was one morning I was feeling especially bummed, because I knew most of my Sobo friends were a day or several days ahead. I crossed past this nice nobo couple and they were asking me about Maine. They asked the right question to make me smile: “What does a moose sound like?” Now, Powder and I spent much time perfecting our wild moose calls and I gave them my best. I was laughing up that mountain after that. Then low and behold, I was eating Snack at a beautiful pond and three people came past, packing out from the near-by shelter/campsite. One of them was a friend I made back in the 100 mile, Jasper, and 2 girls with him, who I knew about through logs, but hadn’t met yet: Walkabout from Canada and Milk Carton. I was over-joyed to see 3 sobos!!! I tracked with them for a couple days then ran into some more sobo friends in the next town. And then, then yesterday, I ran into my best buddies: Coach, Tag and Effect!!!! I thought for sure that they were still a day ahead of me. So, it wasn’t quail speed that helped me catch up with them. And, turns out, in my absence, they adopted the bobwhite whistle as their own. In all three situations, the various crews had gotten held-up or holed-up somewhere for a couple days. Wow, great provision once again! I’m so glad to be out here surrounded by such amazing friends. Yesterday I was going for a marathon quail day: 16mi. 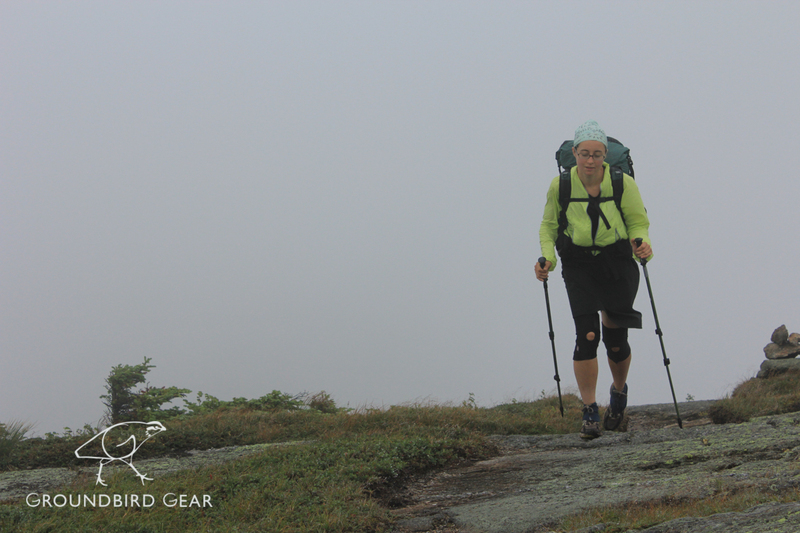 I heard the clack of trekking poles ahead and wondered who that could be: I knew no one right ahead of me. It was the strangest encounter. I came up on a man wearing a helmet, elbow pads, knee pads and leather gloves. I said “HELLO!” and no response. Oh great, there’s a crazy out here, what am I going to do? The man sat (or sort of fell down) eventually and looked at me. Through hand gestures I realized he’s deaf and can see out of only one eye! Later I came up on a lady who was hiking with him, also deaf. We communicated through typing on my cell phone. I learned they were slack-packing that day and trying to head to the hostel in town. I was so inspired by them, I tried to also get to the hostel but didn’t quite make it last night. Here I am now, and I had a great conversation via writing notes with the man. His trail name is Ad-Cane. He is thru-hiking the Trail! He did about half of it last year and is finishing this year with his helper, Ramsham. Wow!!!! Talk about inspiring! It was late in the day and Ad-Cane was getting tired. I was wondering if they’d get down before dark. Around midnite, some of by buddies came back to the shelter: “You’ll never believe what we did tonight!!! !” “We saved a blind-deaf man off the mountain!” Ad-cane was too tired to finish, his assistant went down to the hostel and let everyone know he needed help. And my friends, the Army Guys (they call themselves The Men of Action Team), went up there and carried him down!!! They were so excited for such an adventure. Great guys! The last hostel we stayed at is run by a man named Chet. He was an avid hiker but got into a bad accident with a mis-functioning camp stove. 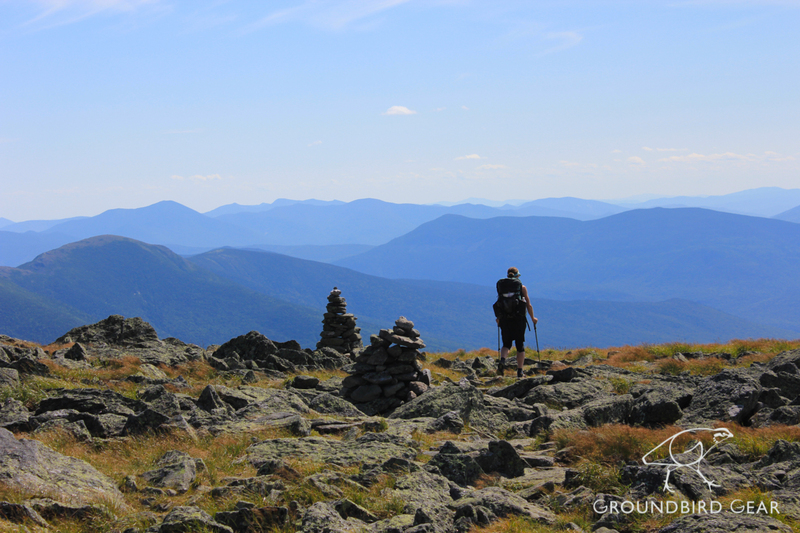 The settlement with MSR enabled him to buy a house and now he has it open to hikers. They told him he was never walk or see again. He’s already taken 20 steps. He has the most incredible attitude. He is so welcoming to everyone. He’s one of those sweet hippy hiker guys. The Dead were always on, and he rolls around in his wheelchair singing and drumming on surfaces. He was another incredible inspiration. Quail speed is not super fast but proves to be the right speed. I am doing great physically, all things considered. This is still the hardest thing I’ve ever done. But my goodness! What an inspiration to meet these folks who are pushing along too! And my speed is always improved by knowing I’ve got good people all around me!